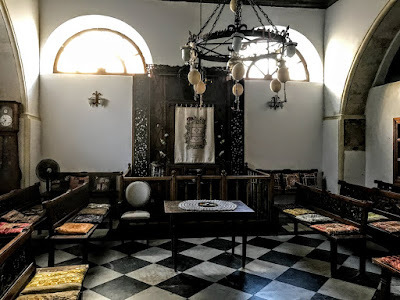 I was both privileged and humbled to be a guest last night [17 June 2018] at a memorial service in Etz Hayyim Synagogue in Chania – the only surviving synagogue in Crete – to mark the anniversary of the destruction of the Jewish community of the Greek island during World War II. Early on the morning of 9 June 1944, while the 256 remaining Jews of Crete were being sent by the Nazis to Athens for deportation to Auschwitz, the Tanais, the container ship carrying them from Chania to Athens, was torpedoed by a British submarine HMS Vivid off the coast of Santorini. In all, about 1,000 prisoners were on board the ship, including 400 Greek hostages and 300 Italian soldiers. No one survived. In a cruel twist of fate, the Jews of Crete were destroyed by fire in the Holocaust, but not in the way the Nazis had planned. The crew of the HMS Vivid believed they were sinking an enemy target, but never realised horrific purpose of its voyage or who was on board. 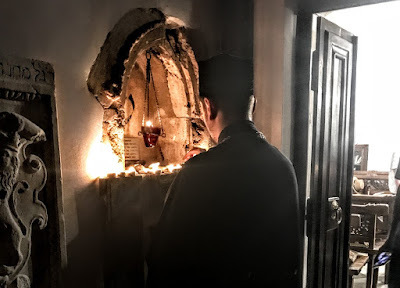 The service in Etz Hayyim Synagogue last night was led by the Chief Rabbi of Athens, Rabbi Gabriel Negrin, and I was invited to join in reading the names of the 256 Jews from Crete who died on board the Tanais. 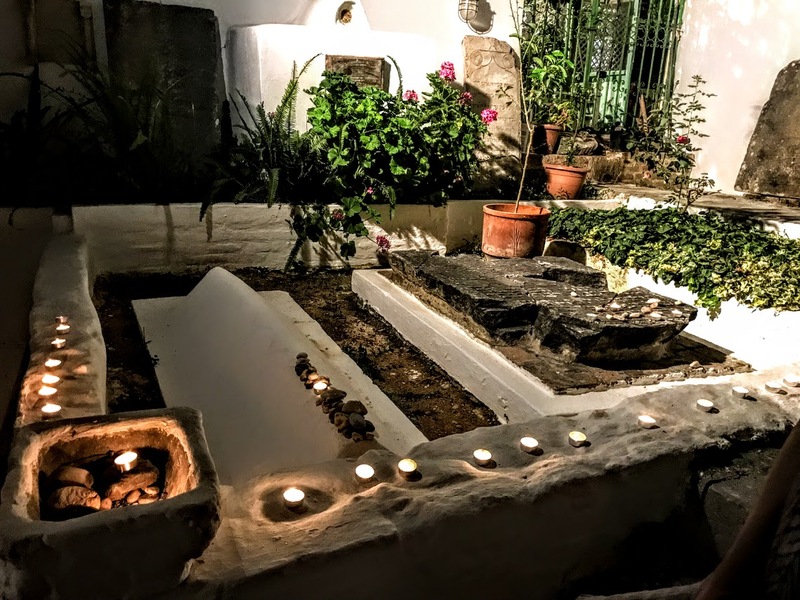 Later, we lit 256 candles to remember each one of the victims, and in silence the candles were placed around the synagogue, in the courtyard and the garden, in the mikvah or ritual bath, and on the tombs of the rabbis buried here in Ottoman times. This was a humbling occasion, and as a visitor to Crete for 30 years I found it deeply moving to have been invited to take part. Etz Hayyim synagogue stands in a small alley off Kondhilaki Streer in Evraiki or the former Jewish quarter in the old town where there has been a synagogue since the Middle Ages. It is in the heart of the walled maze of alleyways and narrow streets that spread out from the harbour with its mediaeval lighthouse and the port’s surviving mosque. There had been Romaniote or Greek-speaking Jews in Crete for more than 2,300 years, and they survived wave-after-wave of invaders, including Romans, Byzantines, Saracen pirates, Venetians and Ottomans. They were strongly influenced by Sephardic intellectual traditions with the Spanish Jews in Crete in the late 14th century, and the two Jewish communities intermarried and accommodated one another. The Jews of Chania were accused of a ritual murder in 1873. But, thanks to the efforts of the French consul-general, the missing child was found in a neighbouring village, and the Greek authors of the plot were jailed. At the beginning of the Greek-Turkish war in 1897, there were 225 Jewish families in Crete, or 1,150 people in a total population of 250,000, spread across the three cities in the island: Chania (200 families), Iraklion (20 families), and Rethymnon (five families). They are engaged in commerce and in various manual occupations. After World War II, the Etz Hayyim synagogue stood empty. The sleeping building was desecrated, and was used as a dump, a urinal, and kennel, damaged by earthquakes and filled with dead animals and broken glass, its mikvah or ritual bath oozing mud and muck. 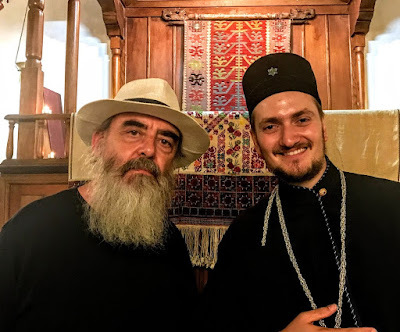 The revival of the synagogue is due to the vision and hard work of Nicholas Stavroulakis who grew up in Britain, the son of a Turkish Jewish mother and a Greek Orthodox father from Crete. 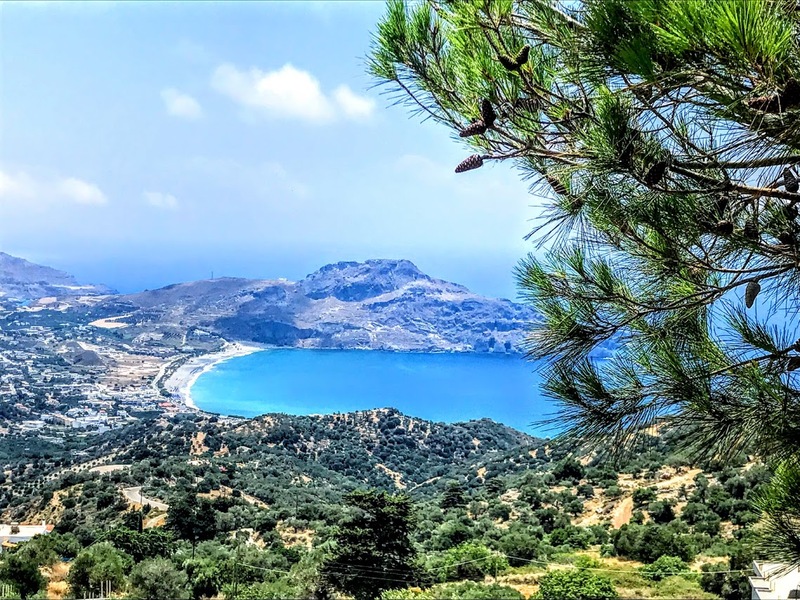 He first learned about Crete’s lost Jews when he was a young man, and his family ties inspired many visits to this island. 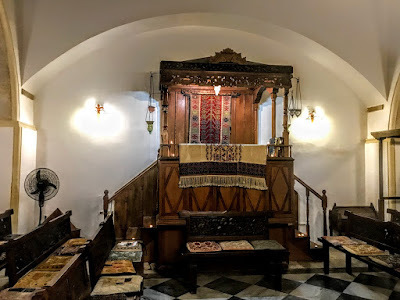 He returned to Crete in 1995, set about restoring the synagogue, and Etz Hayyim reopened in 1999. The synagogue’s floor plan is in the Romaniote, or Greek tradition. The ark faces the eastern wall, while the bimah faces the western one. The rebuilt mikvah is fed by a spring. The scattered remains of the tombs of past rabbis have been recovered and they have been reburied. In a hallway, a simple plaque bears the names of the Jews of Chania who drowned in 1944. Etz Hayyim suffered two arson attacks in the same month in 2010. 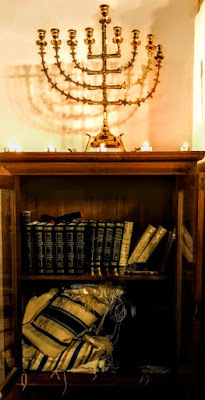 But there was international outage, and donations poured in for the restoration of Etz Hayyim. 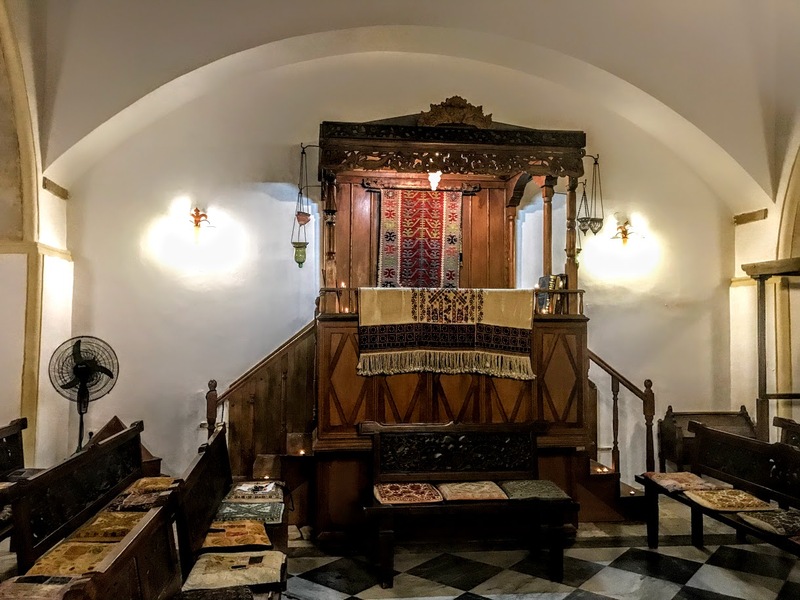 A synagogue in Athens, where most of Greece’s 5,000 Jews live, lent spiritual support by declaring itself a sister synagogue. Today, barely more than a dozen Jews live in Crete, and Evraiki, the former Jewish quarter, is now crammed with tavernas, cafés and souvenir shops. 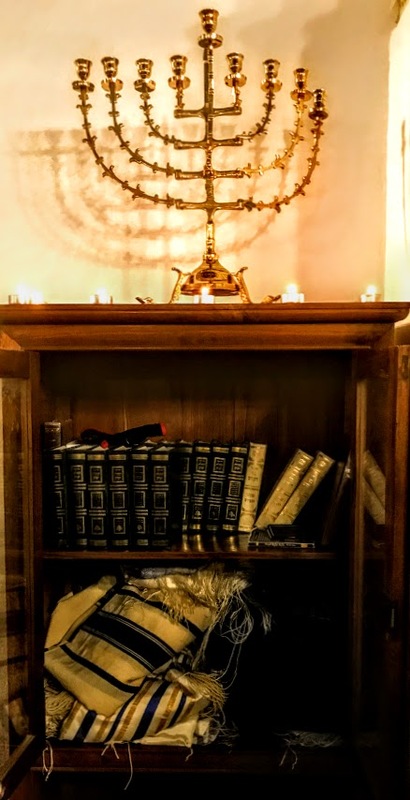 Etz Hayyim holds weekly Shabbat services in Hebrew, Greek, and English, and is home to a research library with 4,000 volumes. Rabbi Gabriel Negrin, who was once a student in Crete, regularly comes to Chania from Athens to help with the Rosh Hashanah and Yom Kippur services. like incense in this house of prayer. Your names – at least – survive. speak the being behind the name. Osmos: Solomon, Stella, Ketti, Mois. Avigades, Dientes, Depa, Evlagon, Ischakis, Cohen, Kounio. hitting hard: Isaak. Zapheira. Matilda. Nisim. There is a story in Crete that the ghosts of old soldiers who fought in a rebellion against the Turks almost 200 years ago, can be seen riding and marching along the beach at Frangokastello in the early morning lights at the end of May and in early June. 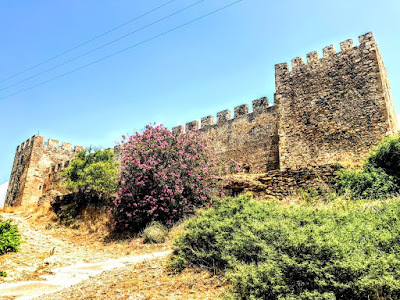 After visiting Hóra Sfakíon on Saturday afternoon [16 June 2018], we continued on to Frangokastello (Φραγκοκάστελλο) and the ruins of the Venetian castle in a remote setting on the south coast of Crete. 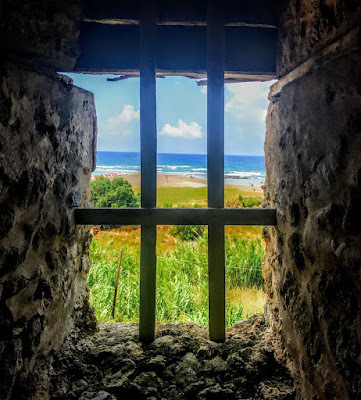 Frangokastello is about 12 km east of Hóra Sfakion and takes the whole area takes its name from the large, ruined 14th century castle by the long sandy beach. The castle was built on a fertile plane by the Venetians in 1371-1374 as a garrison to impose order on the rebellious Sfakia region, to ward off Saracen pirates, and to protect Venetian noble families living in the area and their properties. The Venetians named it the Castle of Saint Nikitas after a nearby sixth century church. 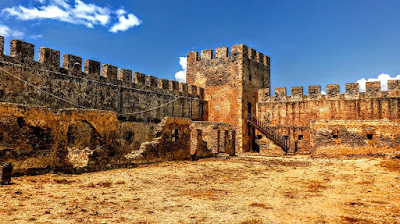 Local people, however, never saw the castle in a positive light, and contemptuously named it Frangokastello, the ‘Castle of the Franks,’ meaning the Castle of the Crusaders or the Castle of the Catholic Foreigners. The name stuck and eventually even the Venetians came to call it Frangokastello. The history of Frangokastello begins in the Bronze Age. 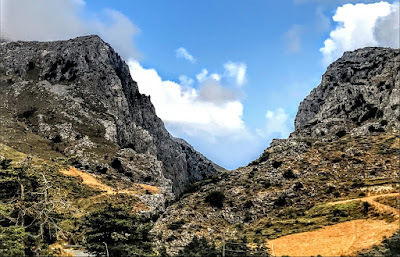 There was intensive human activity in the wider area around Frangokastello as early as prehistoric times, even in mountainous and inaccessible areas. 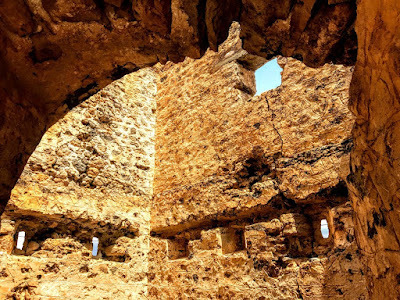 From the mid-seventh century AD to 824 AD, Arab raids led to coastal sites being abandoned gradually as villages moved inland seeking protection from the Saracen pirates. Throughout the period of Venetian rule, there are references to powerful noble families of Byzantine descent who held large fiefs and exercised a major influence on the Orthodox population. The Venetians gave them limited administrative powers, introducing a feudal system that was adapted to local circumstances in Crete, and the Sfakia area was ruled by the Skordilis clan. Two branches of the clan, the Pateras and Papadopoulos families, often fought with each other in feuds. Venetian sources claimed they were criminal and often committed oppressed the local people. The Venetian Senate eventually agreed on 10 February 1371 to build a fortress to protect the area from pirate raids and to control the local population. But, according to local lore, the building work was sabotaged by local people. Every night, the local Sfakians, led by six Patsos brothers from the nearby village of Patsianos, destroyed what the Venetians had built each day. Eventually, the Venetians brought in extra troops and the Patsos brothers were betrayed, arrested and hanged. The castle was built between 1371 and 1374. Although the Venetians called it the Castle of Saint Nikitas, local people contemptuously referred to it as Frangokastello. The name eventually stuck and was adopted by the Venetians as well. The castle has a simple rectangular shape, with square towers at each corner and the remains of a Venetian coat of arms, with the lion of Saint Mark of Venice, above the main gate, along with the arms of the Querini and Dolfin families. The south-west tower, the biggest of the four towers, was the most important and protected the main gate. The buildings within the walls, as well as the battlements, included garrison residences, stabling, stores and kitchens. The fortress never seems not appear to have served the purpose for which it was built, as the Sfakia area remained lawless and there were times when Frangokastello did not even have a token garrison. 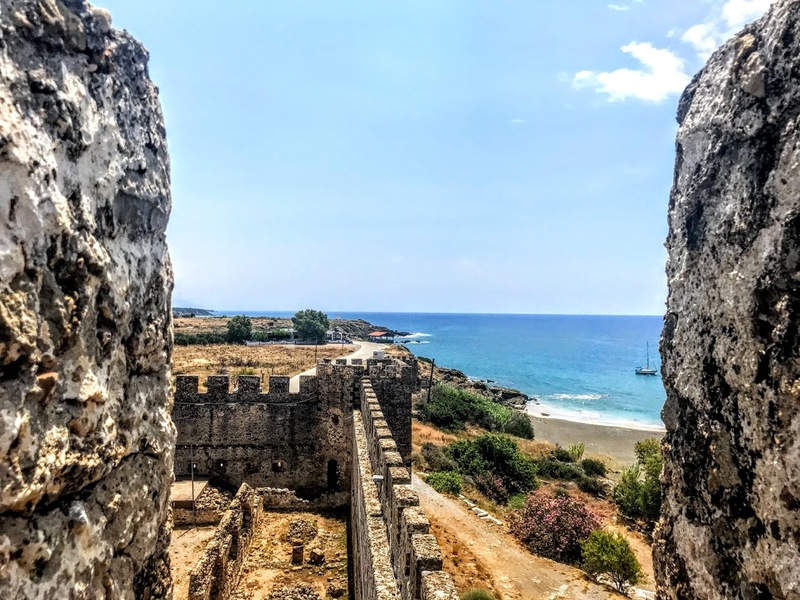 The Venetians repaired the castle for the last time in 1645, and the shape of the building remains since that period, although it appears to have played no significant role in defending the island against the Ottoman invasion and capture of Crete. During the period of Turkish rule, Frangokastello continued to decay. The Turkish forces fighting the rebellious Sfakiots camped there during the Orlov Revolt (1770). The failed rising was led by Ioannis Vlachos or Daskaloyiannis. He surrendered and was flayed alive in Iraklion as an example to other would-be revolutionaries. 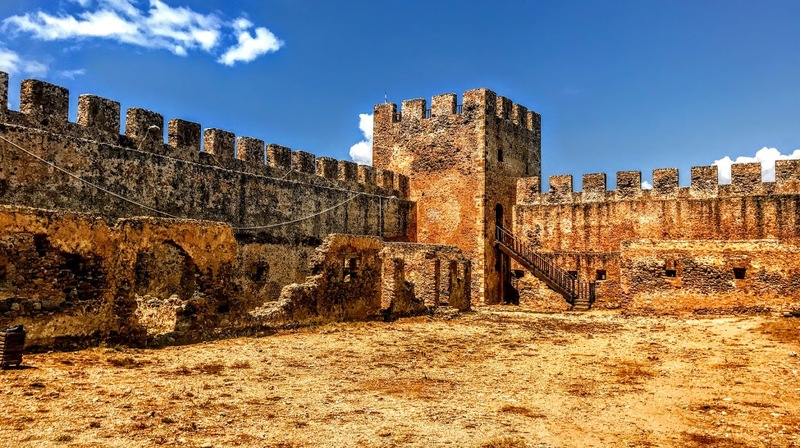 During the next Cretan revolt against Turkish rule in 1828, Hatzimichalis Dalianis, a Greek patriot leader from North Epirus in present-day Albania, captured Frangokastello, and garrisoned the castle with a force of Sfakiots and Epirotes. For a week, 600 Greek rebels faced 8,000 Turkish soldiers. But his decision to abandon familiar guerrilla tactics and face the much larger Turkish regular army on the open plain favoured the forces of Mustapha Naili Pasha, the Governor of Crete. The decisive battle was fought at Frangokastello on 17 May 1828. The Greek rebels were besieged by the Turks and Dalianis was killed along with 338 of the defenders. The remainder capitulated, surrendered the castle to the Turks, and were allowed to leave. But it is said that those who were killed were left unburied until a strong wind blew sand from the nearby beach of Orthi Ammos and covered them. In the weeks that followed, many of the Turks involved in the siege were then killed in rebel ambushes launched from the local gorges. Mustapha Pasha blew up the ruined fortress so it could never be used again by rebels. Later, however, during the great Cretan Revolt (1866-1869), the Turks were forced to rebuild the castle in order to control the island. Frangokastello fell into disuse after the liberation of Crete. In recent years, the south-west tower has been partially restored. Visitors can climb to the top for spectacular views of the castle buildings and the long sandy beach below, and the base of the tower is used for exhibitions. According to tradition, around the anniversary of the battle in the last days of May and the first days of June each year, the ghosts of the armed Cretan and Epirote soldiers who were killed in the fighting, are seen at dawn marching and riding their horses towards the fortress, only to disappear in the sea. These ghosts are called Drosoulites (Δροσουλίτες), or dew-men, because they only appear in the morning mist. Although their appearance has been explained as a meteorological phenomenon, the castle ruins are a reminder of the tortured history of Crete, and visitors are told of the legend of the ghosts that haunt it, the Drosoulites, at this time of the year. Perhaps it was too late in the day, perhaps it was too late in June. But we never saw the Drosoulites at Franngokastello. Or, perhaps it was a case of old soldiers just fading away. 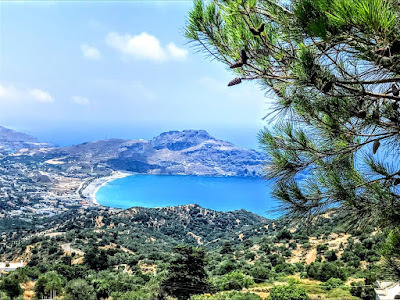 After exploring the ruins, we had an ice cream on the beach below the castle and then continued on past the Church of Saint Nikitas to Sellia, for views of the beach at Plakias, into the Kotsifou Gorge and on to Kanevos for a late lunch in Taverna Iliomanolis. 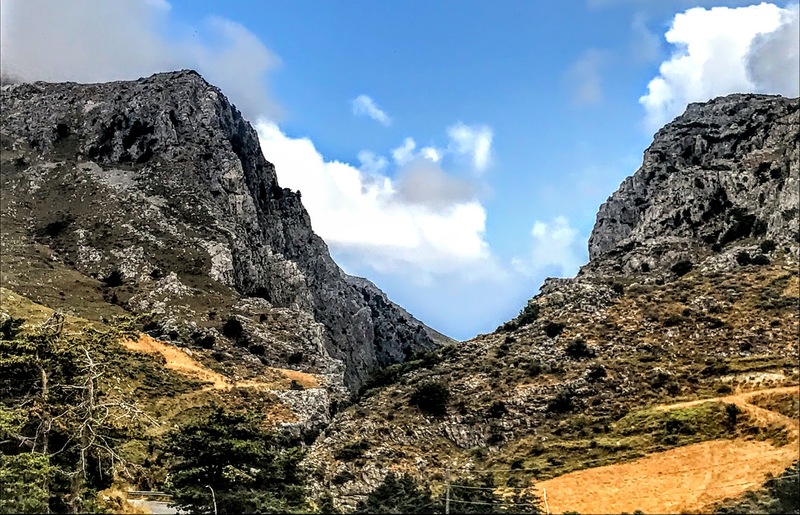 The road back to Georgioupoli took us back across the White Mountains, into Rethymnon and along the coast.